Addidit ut capiti cornua bina suo. Qui miser obscoeno captus amore perit. When a fisherman has dressed himself in a shaggy she-goat skin and placed twin horns on his head, he stands at the edge of the beach, and tricks the passionate sargus, whom desire for the snub-nosed herd drives into the trap. - The she-goat represents the whore, the sargue is like the lover, who perishes, wretched fellow, in the toils of unwholesome love. 1. 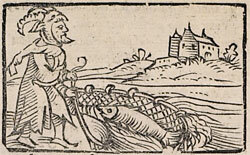 A sort of fish, possibly the sea-bream, believed to be unable to resist the smell of she-goats. 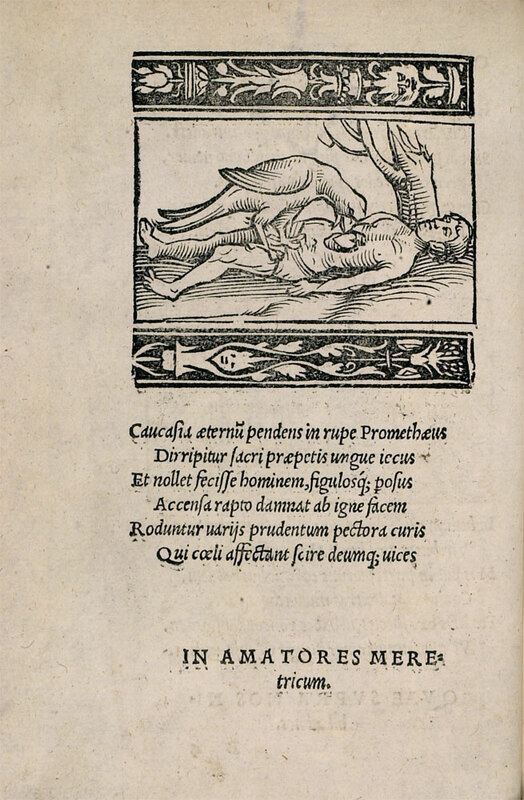 See Aelian, De natura animalium 1.23.